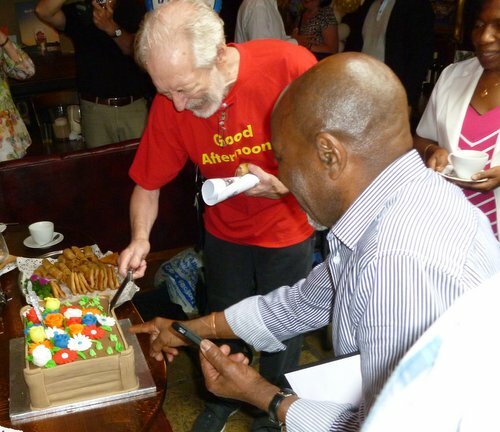 17th August 2013 was the 75th birthday of Radio London's Duncan Johnson. A number of friends gathered to celebrate the occasion, including some former colleagues from the mv Galaxy. You may recognise the T-shirt that Duncan is wearing. It was a present for his 70th birthday (pictures here). 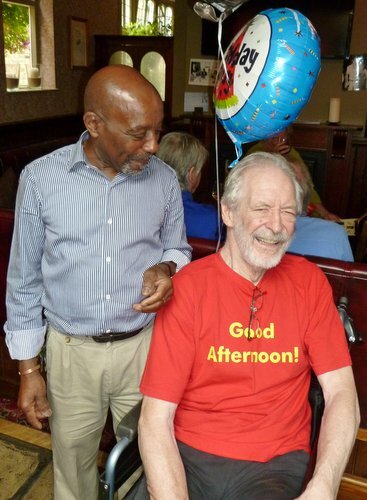 Good friends since 1965, Radio London ship's steward Mitch Philistin and Duncan Johnson. Mitch and Duncan cut the cake. 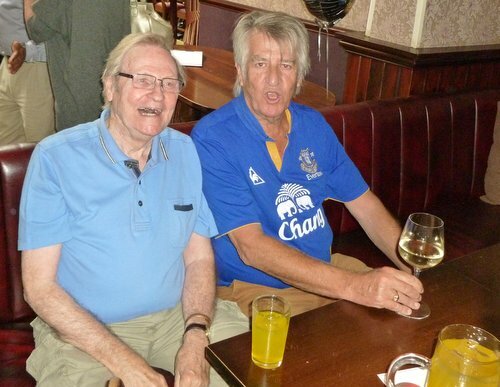 Ian Damon and Ed Stewart. 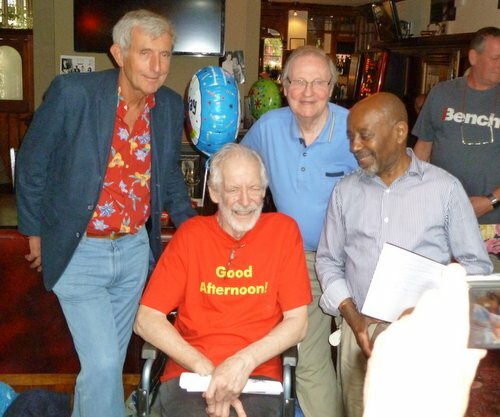 Radio London engineer Dave Hawkins with Duncan Johnson, Ian Damon and Mitch Philistin.